You will get frustrated at times. Don’t let setbacks frustrate you to the point of no return. Learning to become a successful trader is an ongoing process and most successful traders failed before they found success. It could be argued that the most successful traders are not those who are the smartest, best with numbers, or naturally talented. Instead, it’s those who are perseverant, resilient, disciplined, and willing to learn. There’s no “one-size-fits-all” approach to trading, but you can learn from the experience of others. 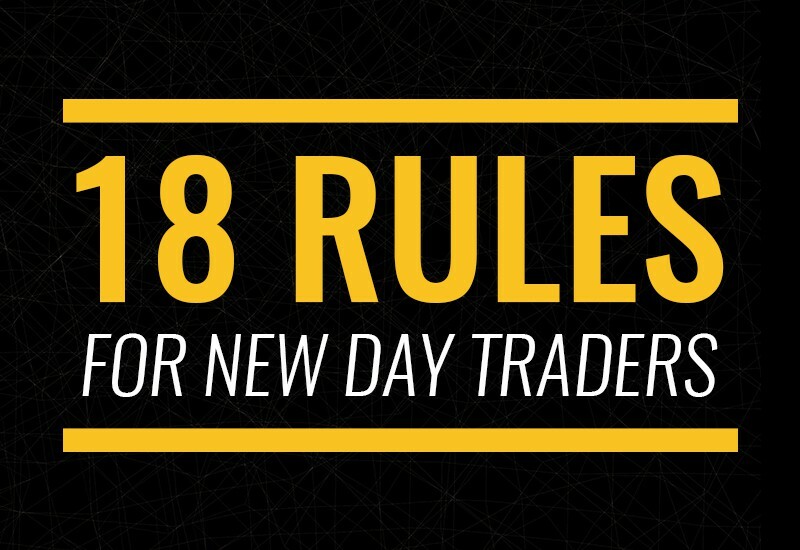 Here are a few rules you should keep in mind as you begin your journey into the exciting world of day trading. Developing a skill requires training: simple as that. Whether you are a businessman, sports player, or plumber, you have one thing in common; you trained for years to hone your craft. Now, this isn’t to say that you need to study day trading for years before you open a brokerage account, but you should be prepared for the learning curve. 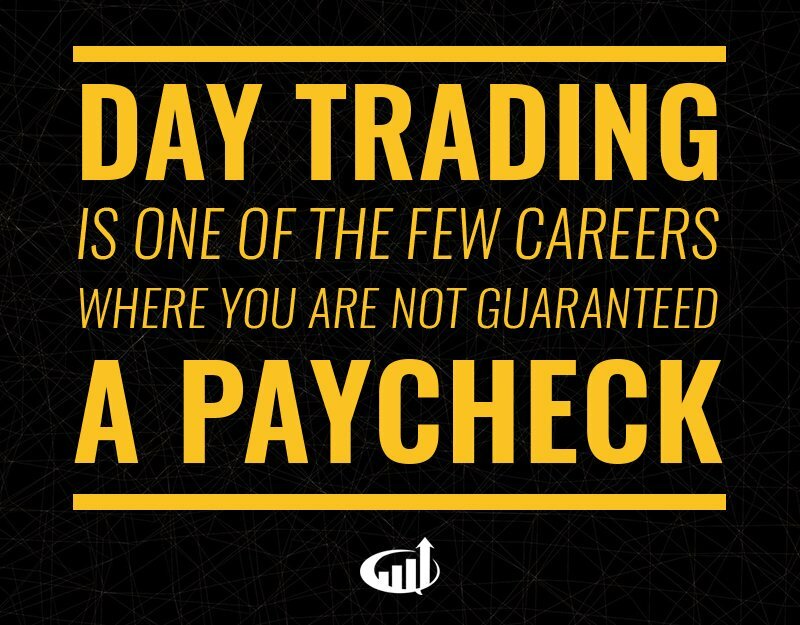 Unlike most professions, day traders actually lose money when they perform poorly. Give yourself the best shot at success by educating yourself before you put your money on the line. Patience may seem restricting but it will pay off in the long run. An athlete requires athletic gear, an artist requires paint and a canvas, and a handyman requires his toolbox. 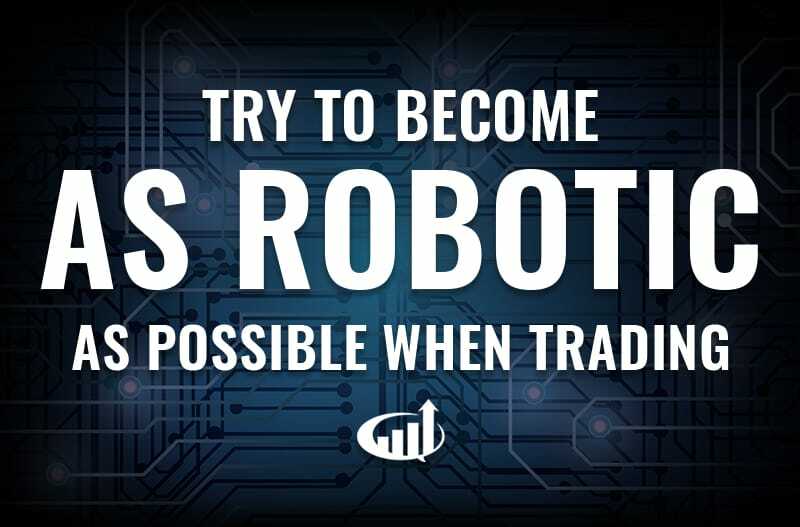 In every profession, there are “tools of the trade” and day trading is no different. Make sure you are equipped with the tools that enable you to perform at your best. 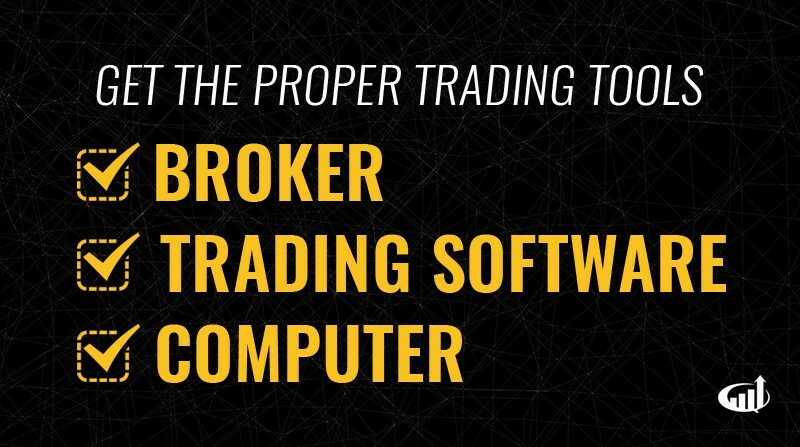 These tools include brokers, trading platforms, and your computer. You’ll learn more about your needs as you continue to trade, so you can always upgrade your setup at a later point. That said, make sure none of your tools are holding you back. New traders are incredibly ambitious, which is both a blessing and a curse. Ambition drives you, but untamed ambition blinds you. When you start trading, don’t go “all in” chasing big wins. Start small and protect your capital. Your goal is to develop a profitable trading strategy. The higher profits will come with time as you prove the sustainability of your strategy. Filtering information is one of the main jobs of a day trader. Don’t overcomplicate your approach to trading. You don’t need to master every technical indicator, every style of trading, and every market. Keep things simple. Focus on the most profitable trade setups. Obviously, we are all striving to make money. The best way to do that is by coming to the market prepared. 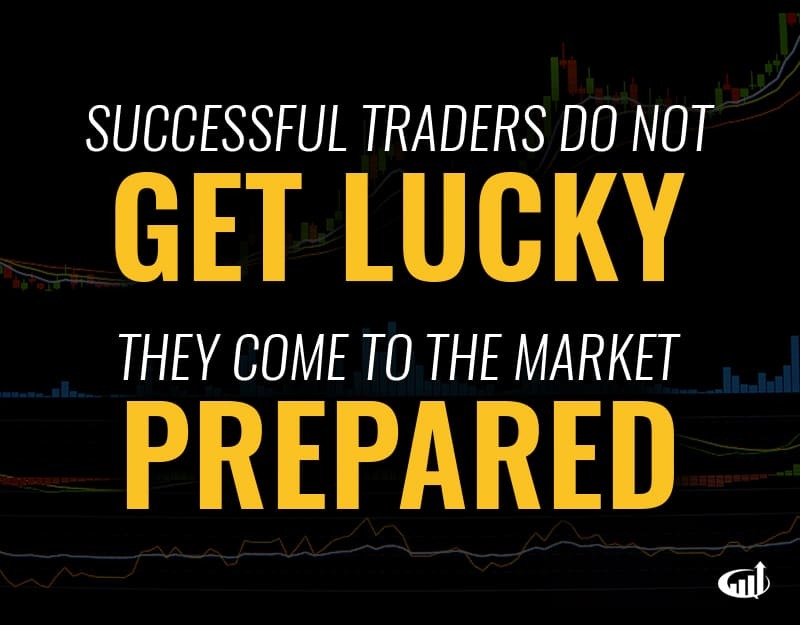 Successful traders aren’t lucky; they are prepared. Do your research the night before, create your watch lists, and have a trading plan ready for the next day. Day trading is risky. If you didn’t know, now you do. As day traders, our job is to account for and mitigate risk. First, ask yourself, what is your risk tolerance? Can you afford to lose $500 on a trade? No? Then ask yourself the next question. What is the risk of a trade? You cannot predict risk with 100% certainty, but you can make an educated prediction. If a stock’s current price is $5.50/share and there is a strong support level at $5, you can assume your risk is $0.50/share and choose a position size accordingly. If you enter trades where you don’t know the risk or don’t have a stop loss area in mind, you are exposing yourself to trouble. Many new traders find themselves resorting to message boards and Twitter for stock advice. When you start trading, it can be difficult to know who is credible and who isn’t. The best solution? Ignore the hype. Never let someone else’s opinion influence you to buy a stock. The Internet is teeming with people touting their favorite stocks and making ridiculous claims. Avoid “hot stock picks” and focus on trading your own plan. 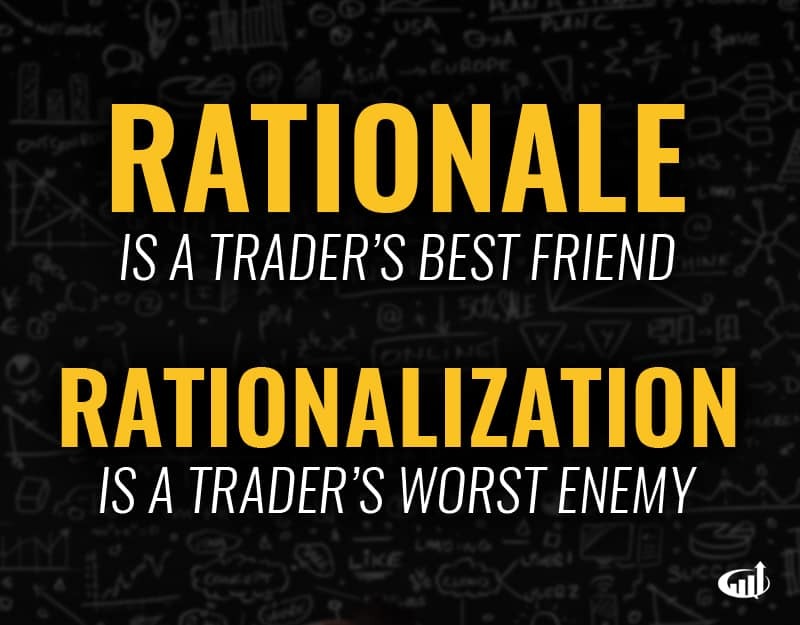 Rationale is a trader’s best friend; rationalization is a trader’s worst enemy. The main difference? Rationale comes before you place a trade whereas rationalization comes after you are already in a trade. As mentioned above, it’s important to educate yourself and come to the market prepared. 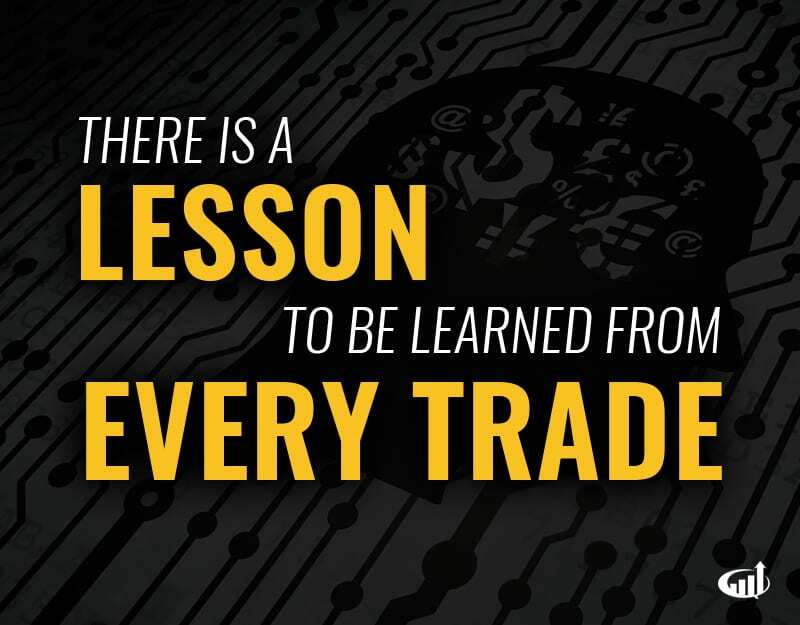 That said, a lot of trading lessons come from the actual trades you place. As a new trader, every trade you place (both winners and losers) provides you with a lesson. This is the reason many traders will keep trading journals. What made this trade a winner and how can I replicate this? Is there anything I could have done to improve the trade? What caused me to lose on this trade? Could this loss have been avoided? Was the problem with the setup, my position size, emotions, etc.? When you first begin to trade, you will have to get a feel for the markets. You may test your luck at short selling, long trades, swing trades, and day trades. Over time, you should begin to focus on what you are best at. This builds on the previous point. Analyze your trades and focus on where you make the most money. If you always lose money on short trades but are profitable on long trades, stop short selling. If you make most of your profits during the first couple of hours of trading, consider trading during the market open exclusively. All traders have their own unique niches. Be conscious of your strengths and weaknesses and allow them to mold your future trading behavior. This one is as straightforward as they come. Don’t let your losses get out of control. You can’t control the market, but you can always exit a losing position. No one likes taking losses, but blowing up an account is far worse. Don’t let one trade take you out of the game. Trading is analytical and systematic, leaving no room for emotions. You cannot always avoid an emotional response to a trading situation. You can, however, be conscious of your emotions and allow your intellect to take over. Greed and panic can cause you to act irrationally. Hope is not a strategy and intuition (especially as a new trader) doesn’t count as solid rationale. Always stick to your trading plan and let the numbers do the talking. A simple way to avoid emotional trading is to trade within your means. If you are trading with this month’s rent check, it will be nearly impossible to avoid emotional influence. Trade with funds that you can afford to lose. No one likes losing money, but a trading loss should not affect your wellbeing. If you came to the market to “bank,” you may want to hold off on putting the down payment on that new Lamborghini. Chasing big gains is a good way to blow up your account. Focus on setting more realistic, achievable goals and use those goals to guide your journey. New traders should be focused on developing a skill. This skill can be validated through consistent trading profits. Continuously making $50/day from day trading may not be life changing, but it means you have created a sustainable source of income. It’s validation of a skill that can be scaled over time. Making $5,000 in one trade may be nice, but if it’s not repeatable, it doesn’t help you much in the long run. Setting realistic goals is important because your goals will shape your trading behavior. 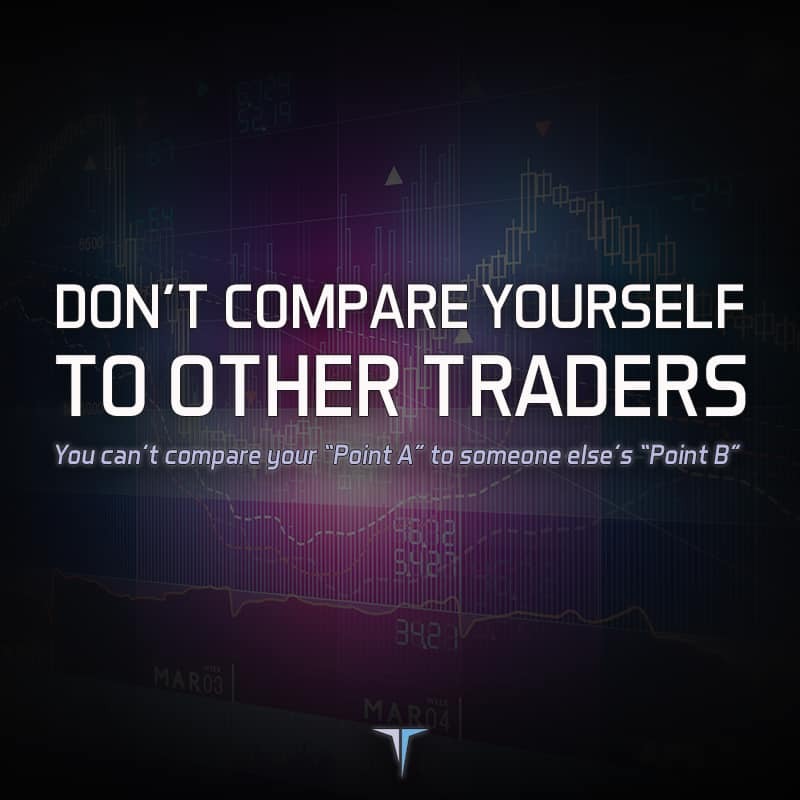 Comparing yourself to other traders can be detrimental to your own success. If you are constantly miring over the profits and lifestyles of other traders, not only are you distracting yourself from your own trading, but you may also be downplaying your own accomplishments. Always focus on yourself. You can learn from others but you shouldn’t be making comparisons. You don’t know their journey and you don’t know where they started. Trading takes hard work and dedication. If you begin to see success at any level, you should appreciate your progress. They say 90% of traders fail, so if you are profiting consistently, welcome to the top 10%. Understand where you are on your journey and appreciate every milestone. This will keep you motivated and on the right track. No one is immune to the power of the markets. At any point, a single trade can take you out of the game. It’s important to remain humble. 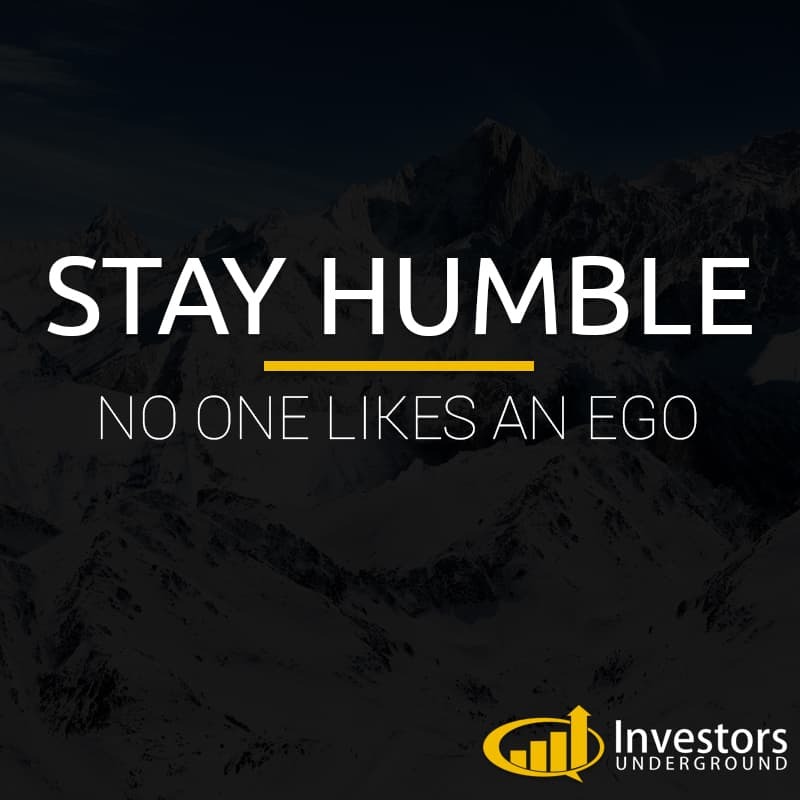 It can be easy to get overconfident or feel invincible after a great trade, but you need to remain grounded. Don’t let your ego drive you. The amount of money you can make from day trading is theoretically infinite; therefore no one has “mastered” the stock market. There are traders making 6 figures a year, 7 figures a year, 8 figures a year, and so on. You should always work on developing your skills and learning new things. Avoid complacency at all costs. There is always room for improvement. After all, that’s half the fun of being a day trader! Hey Nate, plz thx for your advise. but is it really possible to learn stock trading on your own online without a physical mentor? The Law of Association ~ Surround yourself with the people you most want to be like. Nate, What platform do you use for trading? I currently use StocksToTrade but I keep having problems with it and I'm looking for suggestions. 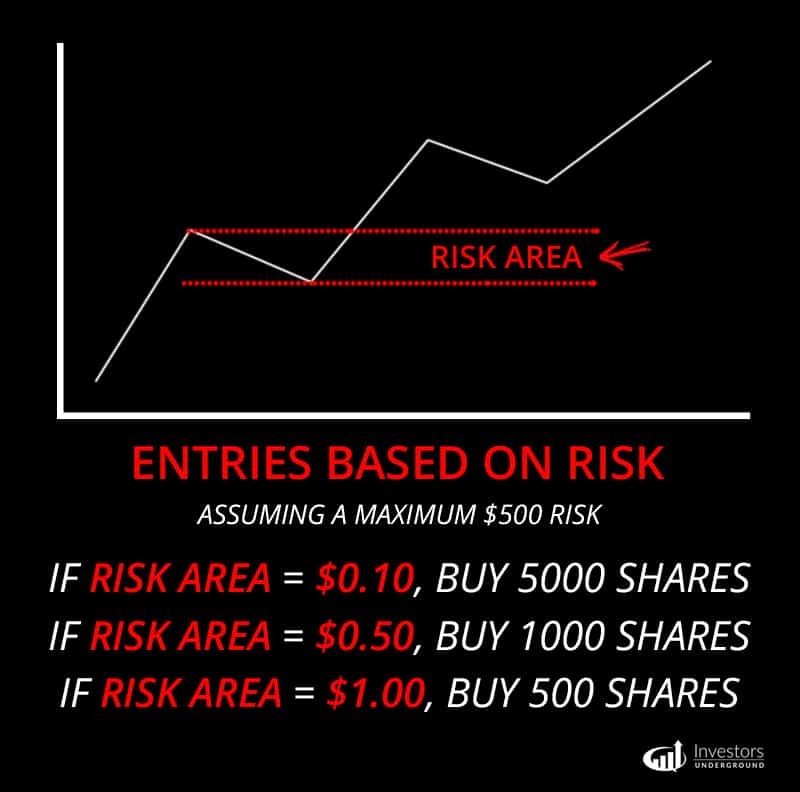 "Day trading is risky. If you didn’t know, now you do."